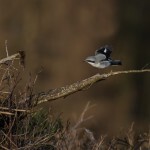 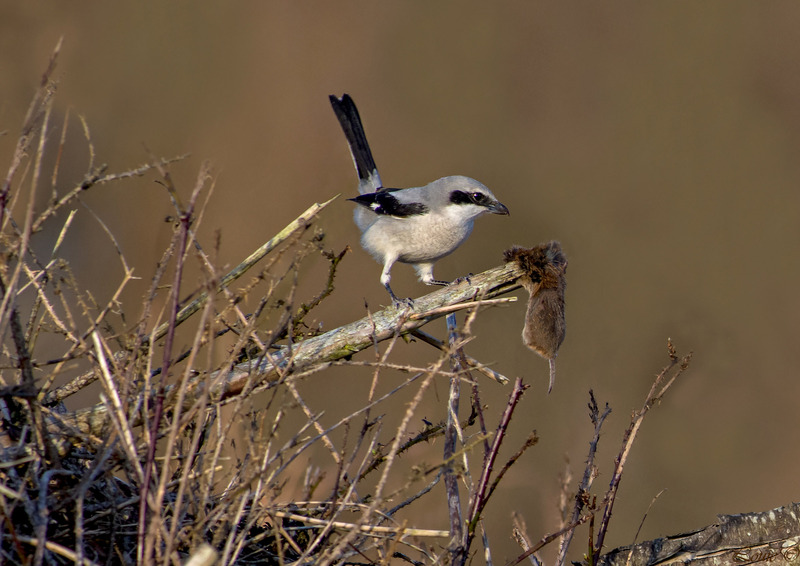 The great grey shrike, northern grey shrike, or northern shrike (Lanius excubitor) is a large songbird species in the shrike family (Laniidae). 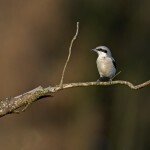 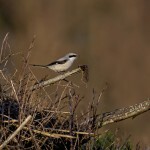 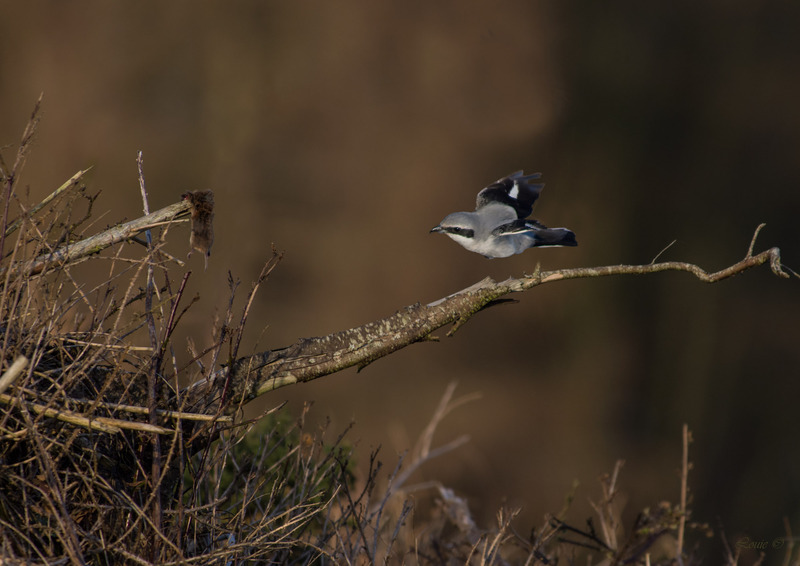 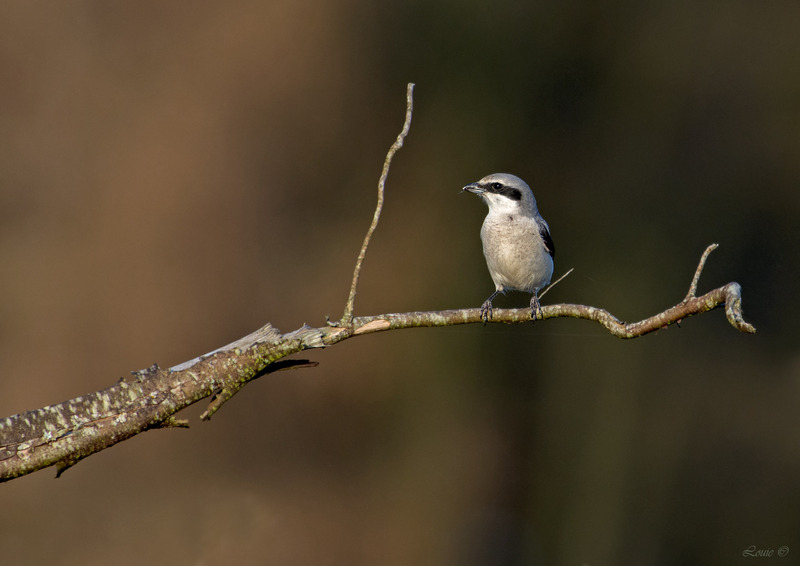 It forms a superspecies with its parapatric southern relatives, the southern grey shrike (L. meridionalis), the Chinese grey shrike (L. sphenocerus) and the loggerhead shrike (L. ludovicianus). 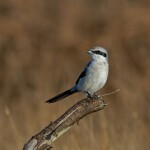 Within the great grey shrike species itself, there are nine subspecies. 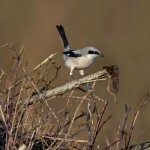 Males and females are similar in plumage, pearly grey above with a black eye-mask and white underparts. 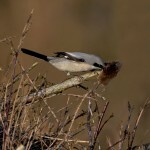 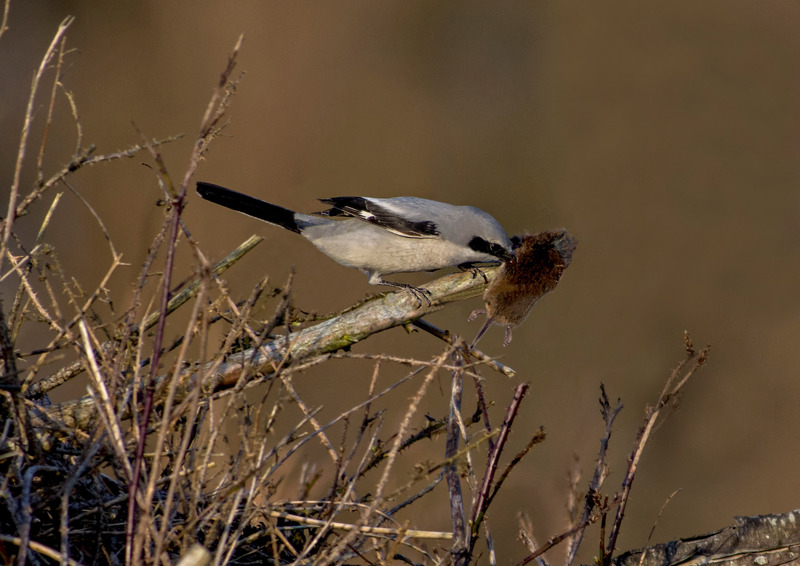 Breeding takes place generally north of 50° northern latitude in northern Europe and Asia (where it is known as the great grey shrike), and in North America (where it is known as the northern shrike) north of 55° northern latitude in Canada and Alaska. 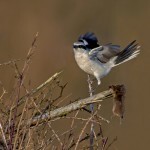 Most populations migrate south in winter to temperate regions. 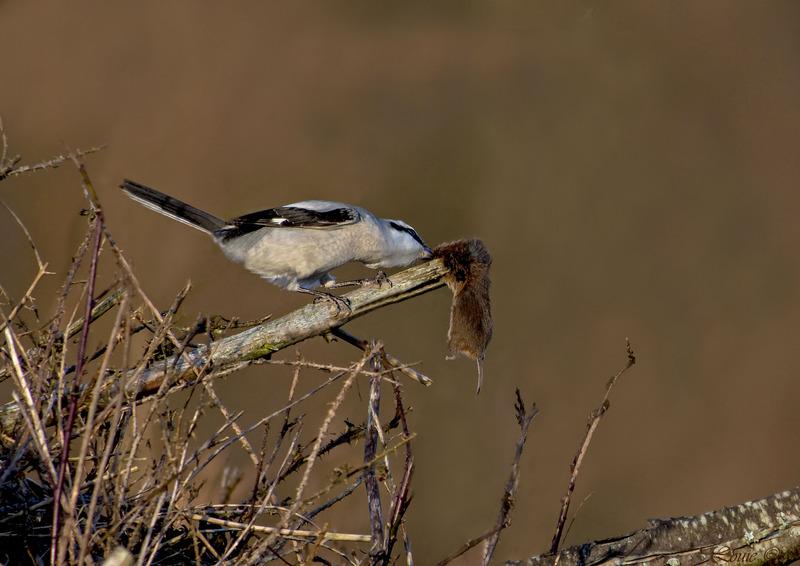 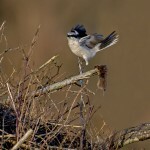 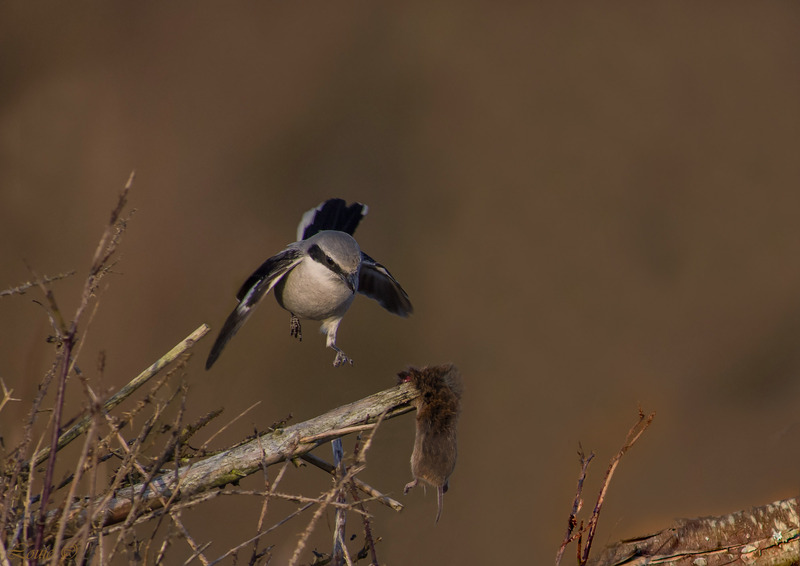 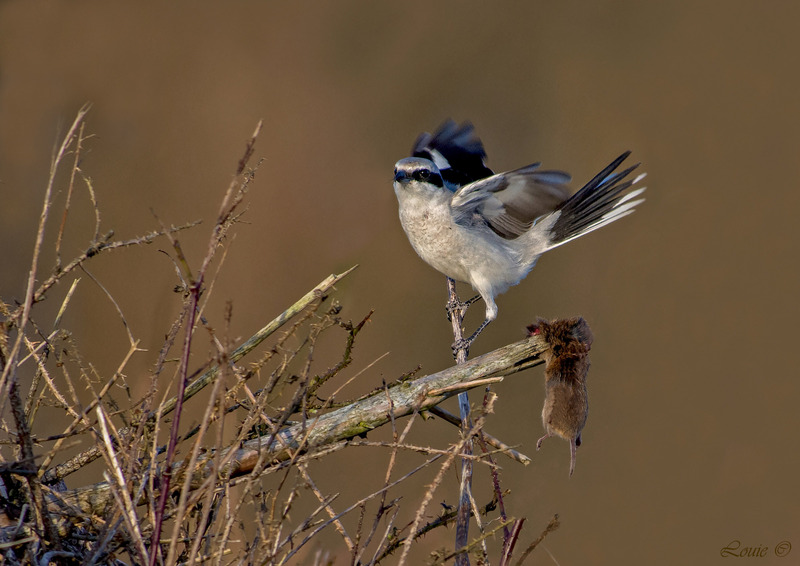 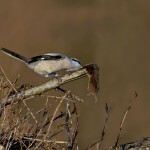 The great grey shrike is carnivorous, with rodents making up over half its diet. 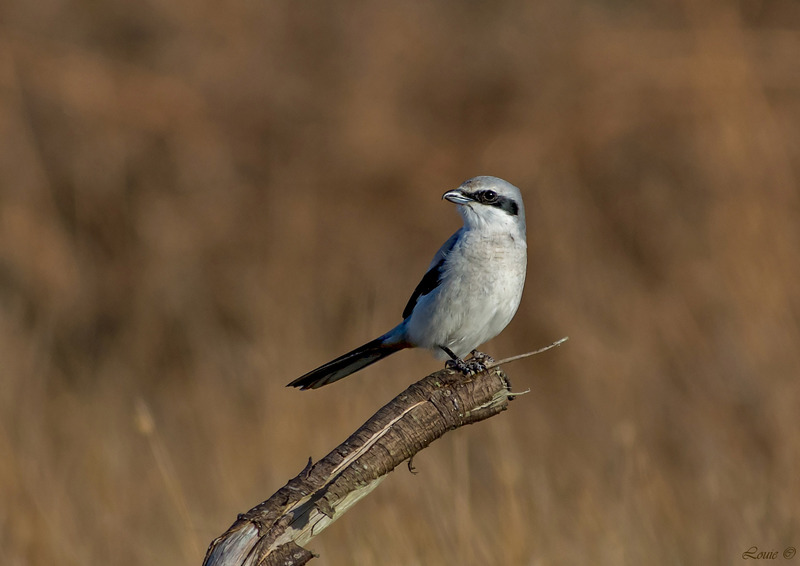 The scientific name of the great grey shrike literally means "sentinel butcher": Lanius is the Latin term for a butcher, while excubitor is Latin for a watchman or sentinel. 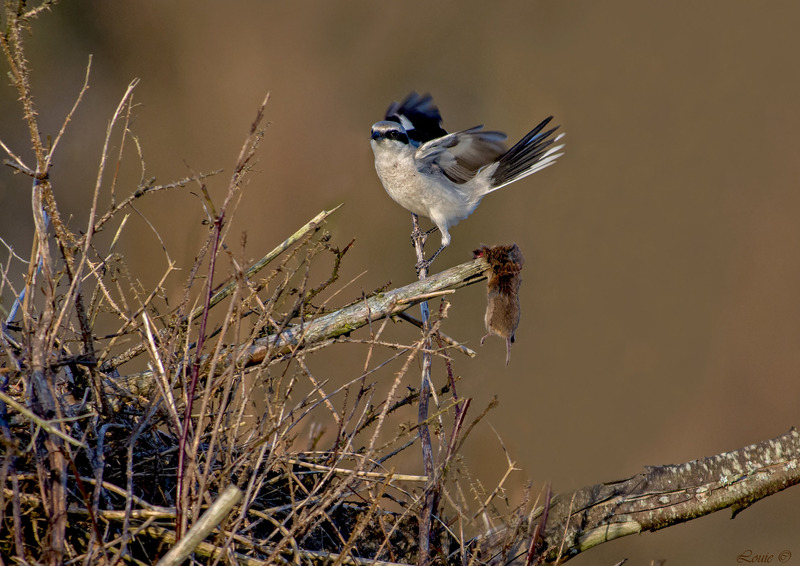 This refers to the birds' two most conspicuous behaviours – storing food animals by impaling them on thorns, and using exposed tree-tops or poles to watch the surrounding area for possible prey. 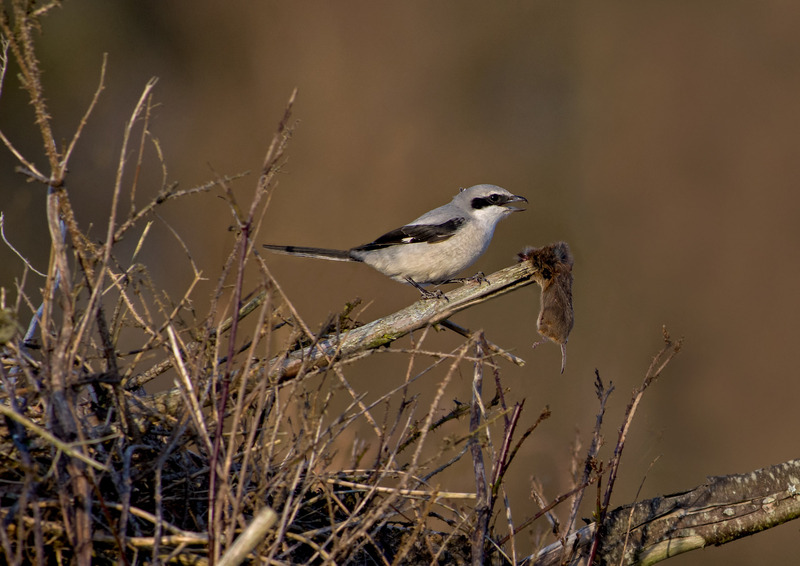 Use of the former by Conrad Gessner established the quasi-scientific term lanius for the shrikes. 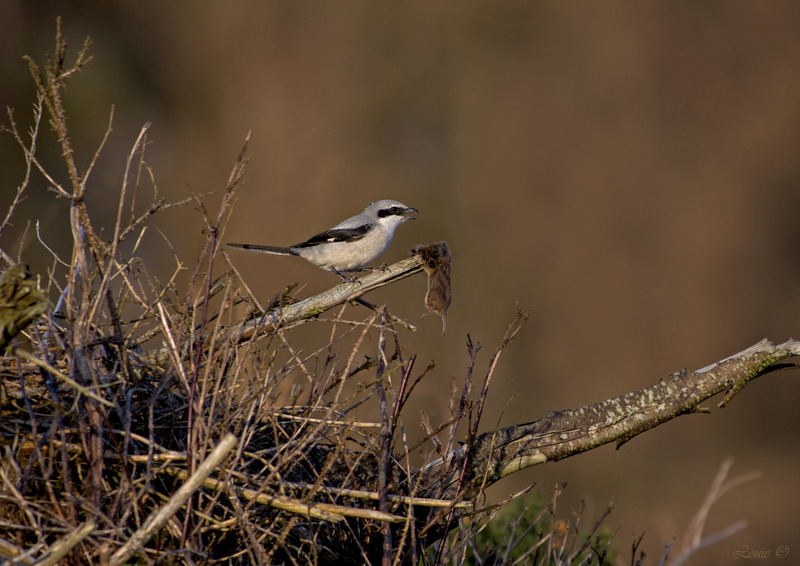 Linnaeus chose his specific name because the species "observes approaching hawks and announces [the presence] of songbirds" as he put it. 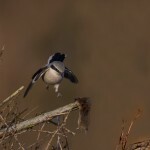 This habit was also put to use in falconry, as fancifully recorded by William Yarrell later.